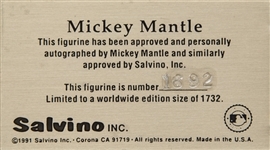 Mickey Mantle is immortalized in this limited edition signed Salvino statue. 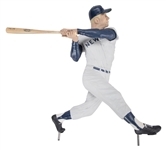 The statue shows Mantle performing his left-handed swing while wearing a gray road uniform. 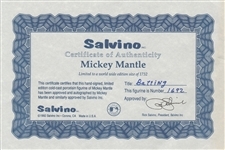 Mantle won three American League MVP trophies during his time with the New York Yankees. A 20-time All-Star, Mantle notably won the 1956 American League Triple Crown and hit 536 home runs in his 18-season career. 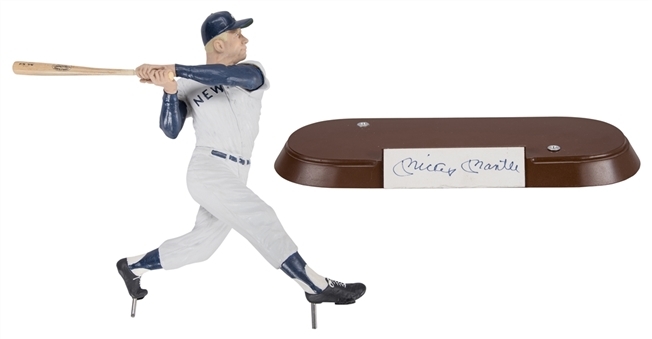 Mantle has signed the base of this statue in blue pen. 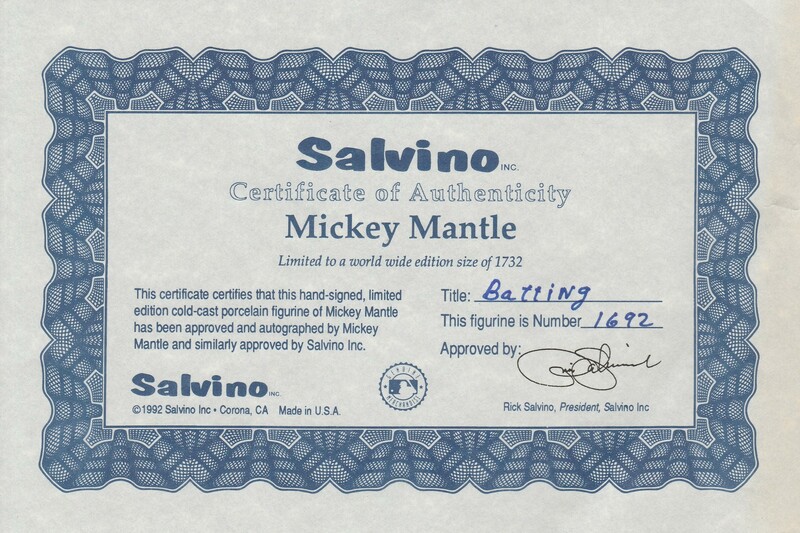 This statue is a limited edition 1,692 of 1,732 and it comes with a COA from Salvino with its own box.